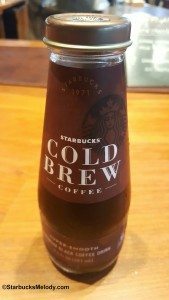 Starbucks is now offering bottled cold brew! This is being launched this summer and the earliest shipments are on their way to select retailers now. It’s delicious! The difference between a cold brew coffee and iced coffee is the method of brewing them. Cold brew coffees are brewed entirely without heat: Cold brew involves coffee grounds immersed in water for anywhere from 12 to 24 hours. 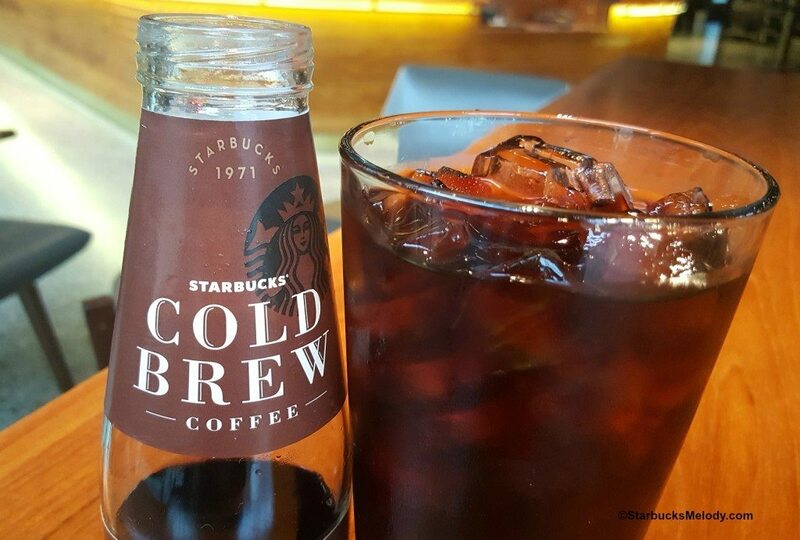 In Starbucks stores, the cold brew is brewed for 20 hours. Generally about 16 to 20 hours is thought of an ideal brewing time. Cold brew coffee is fairly simple to make at home too. Cold brew coffees are almost always low acidity, smooth, and extremely flavorful. Standard iced coffee is made by brewing coffee double strength, then pouring that coffee over ice. Iced coffee (made by brewing it via a filter brewer, double strength) is usually brighter, vibrant, and a little less smooth. The coffee starts as a hot coffee, and is cooled for ice coffee by using plenty of ice in your cup. Hopefully you’ve got the difference between the two down pat: If you taste them side by side, the difference will jump out at you. The cold brew wave started at Starbucks in about March of last year. About one year later (March this year), Starbucks slowly began to roll out Nitro Cold Brew, which is now available in select stores. The number of stores with Nitro Cold Brew has been slowly growing. On June 27, 2016, the Roastery began offering Cold Brew Malts and Floats. Now you can Starbucks Cold Brew in a bottle at select grocery stores, and select Starbucks stores. 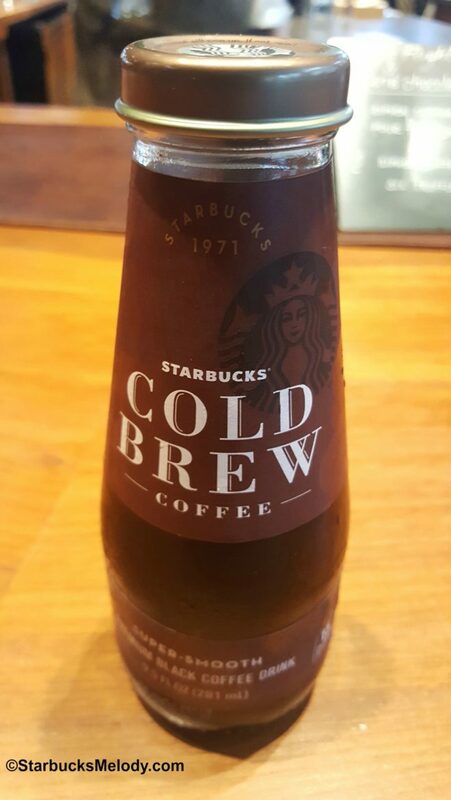 Look for bottled Cold Brew in a limited number of Starbucks stores across the United States, and a limited number of grocery retailers in the greater Seattle and Portland areas. I know that’s a vague description of where to find it but that’s what I’ve been told by Starbucks. The suggested retail price per bottle is a little over $3.00 and each bottle is 9.5 ounces. I really like it. Very refreshing smooth, and very true to the quality of cold brew coffee inside Starbucks stores. I worry a little bit about how it will do. I think a lot of consumers aren’t familiar with cold brew coffee, and the price point could be a little high for many people. It’s delicious though. I think familiarity with cold brew needs to grow. It’s considered a little more labor intensive to make than standard iced coffee, since essentially you have to brew it slowly over time in big batches. I have to tell you whenever I get anything for free. Starbucks sent me a couple of complimentary bottles. Trust me, I would have loved it either way!